Experience all that Sri Lanka has to offer with an Eco Culture holiday package that takes you to Sri Lanka’s most beautiful locations and also gives you a glimpse into the country’s culture, history and lifestyle. Each holiday package combines the best of Sri Lanka’s natural beauty, together with experiences that will enrich your understanding of this island’s amazing historical heritage and its vibrant people and their unique indigenous culture. The Eco Culture holiday packages are developed to give you a true eco-tourist experience, providing unique experiences and opportunities to understand the local people and culture. Each tour is developed as an environment-friendly, ethically sound programme that will enrich the communities you interact with. In addition to the Holiday packages on offer, Eco Culture is also able to develop a personalised holiday package for individuals, couples, families or groups based on their specific areas of interest and special needs. Each Eco Culture holiday is designed to engage you with your surroundings - the natural landscape, wildlife and people. You will not merely visit places, but will be given opportunities to interact with people, nature and to learn through your own experiences, taking away with you special memories and an appreciation of the rich beauty and culture of this Resplendent Island. 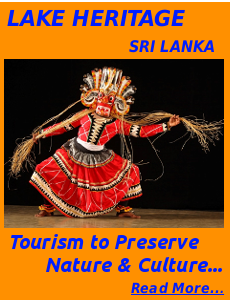 Come, experience the real culture, people and places of Sri Lanka on an Eco Culture holiday! © Copyright 2016 - Eco Culture Tours.